SlashNext’s machine learning, artificial intelligence detects malware, exploits, data exfiltration and social engineering attacks. A former FireEye engineer has kicked off a startup whose machine learning and artificial intelligence technologies will compete against his former employer’s threat-prevention platforms. 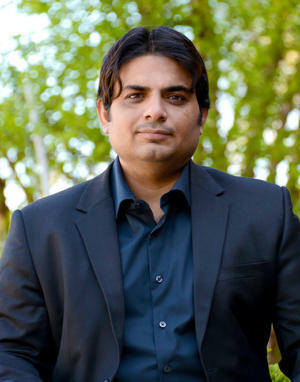 SlashNext makes Active Cyber Defense System, a service with a cloud-based learning component that can detect data exfiltration, malware, exploits and social engineering attacks, says the company’s founder and CEO Atif Mushtaq. SlashNext CEO Atif Mushtaq: "The system has a low false positive rate." He says the system analyzes suspicious traffic as a human analyst would. This allows the system to detect social engineering attacks. For instance, in phishing attempts that trick victims into clicking on malicious links, often those links mimic legitimate sign-in pages. A security analyst would use a base of knowledge learned over the course of a career to detect that the page differs from the real page. Analysts can then use their experience to detect zero-day attacks. He says that SlashNext’s AI is defined as the automation of human cognitive reasoning in order to draw conclusions and make predictions. “It is something that humans have been doing exceptionally well historically,” he says. The system analyzes full internet sessions, from DNS requests to delivery of payloads in order to detect malicious activity. In that way, it can catch attacks that come via social engineering that don’t have a payload per se, he says. Since detection is based on network traffic, the system protects all devices regardless of operating system. When a threat is identified, the system alerts security teams. The plan is for the company’s defense system to be served entirely from SlashNext’s private cloud by the end of the year. Customers’ internet traffic would be diverted to the cloud, analyzed and sanitized before being delivered to their computers, he says. Right now, all bi-directional internet traffic is instead filtered by appliances that are attached to switch span ports at customer sites. Suspicious traffic is fed from these appliances into the cloud for analysis, he says. The system requires no software agents. Because the analysis engine is based in the cloud, the system scales to support large networks. It requires no policy configuration and can be deployed in about 20 minutes, he says. Mushtaq says the system has a low false positive rate, likely just one or two misidentified threats per year for a typical customer. The company completes against FireEye, Cyfort and other intelligent detection platforms. Mushtaq says he started the business on his own, writing the algorithms that underpin the system. Eventually he hired other engineers to help and funded the project himself. Recently the Pleasanton, Calif., company announced $9 million in Series A funding led by Norwest Venture Partners and Wing Venture Capital, bringing total funding to more than $10 million. Promod Haque of Norwest Venture Partners and Gaurav Garg of Wing Venture Capital join the board of directors. Active Cyber Defense System is available now in North America. Mushtaq wouldn’t quote prices, but says subscriptions are based on the number of users or devices.